It felt like the month of August flew by in a blink of an eye. Perhaps because of all the flying on airplanes that I did, but also perhaps due to the schedule that I put together to take advantage of some free time away from my night job. I lucked out to receive the entire month off from my Delta Air Lines night job, and I intended to make the best use of it that I could. First and foremost was a family vacation to the north woods of Wisconsin, followed by plenty of work on my properties, a mountain bike guiding certification course, and a reunion trip with some of my oldest friends. The time flew by in between all of the actual airline flights. ^My family and I have been migrating north to this lake near Eagle River, Wisconsin for going on 30 some odd years now with the same family friends of ours from Green Bay, the Schaetz's. However, this is the first time that my wife, Christine, and I were able to bring our young son, Amos, with us on the trip. In the picture above my father is showing Amos around the end of the lake near the resort we stay at. Amos was super pumped for the whole trip, and it is needless to say that it brought a smile to my face as well as Grandpa's. 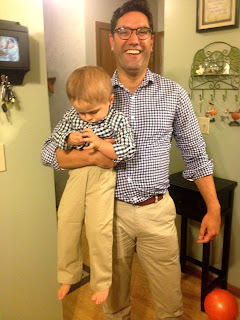 ^Amos and my big brother's son, Cole, were the best of buddies. The two of them were running around all over the property nonstop. I managed to snap this picture of them as they enjoyed the chair swing for just a moment before commencing the run around games. My brother and I did a good amount of growing up with this same lake view so to see these two boys having so much fun together doing the same was a special experience for me and my big brother. ^… and all these beautiful people are a blessing that does not fall short on me. I am fortunate for friends like these. As my brother once said, "Friends like family, and families full of friends." I am so grateful for all of them in my life, and now my son's life as well. After what felt like a very quick vacation we flew back home to Utah for just a few days. I took the chance to catch up on some work on one of my properties in Utah before we were right back on a plane again heading back to my wife and I's hometown in southeast Wisconsin again. Christine had some work in nearby Chicago, and we had a special treat in store for Amos too! ^A day with Thomas the Train! Amos' favorite cartoon is Thomas and Friends which is the story of Thomas the Train and all of his train engine friends. Amos absolutely loves the show, and there was a "Day Out with Thomas" event at a railroad museum in rural Illinois near my parent's house on the other side of the border. Christine and I took him to see the life size trains modeled after the cartoon characters and he was so pumped up! His favorite characters literally came to life before his very wide eyes! ^I also took the opportunity to get down to work clearing a piece of property that my wife and I bought a while back in our hometown. 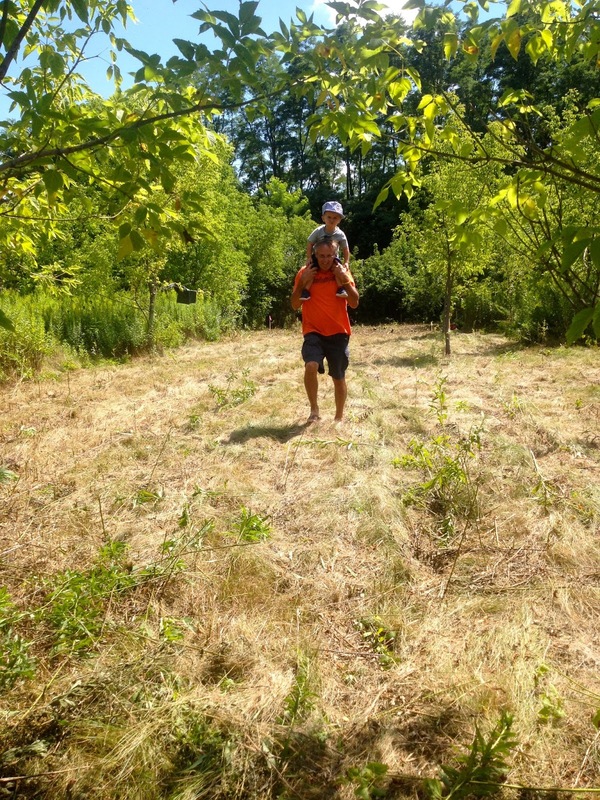 We plan to build our dream home country cottage on this property some day, but first I have a lot of work to do just to get it ready. 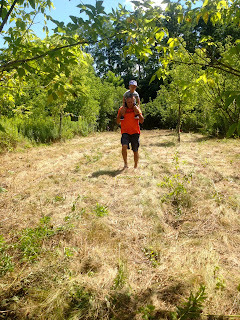 Of course, my dad is always the ardent helper and we began hacking away at the veritable jungle of midwestern woods and hills. The land is raw, the work is ample, but I am willing and ready for the effort. Sweat equity is a real thing, and I aim to cash in on it. ^Of course we had to give Amos the grand tour once I finally started getting some real progress in the clearing. There is a lot to do, but little by little I am making headway. ^Amos got to wade in the lake that raised me too. I grew up in a small lake community built around Lily Lake in a small corner rural southeast Wisconsin. I have so many fond memories of this lake, and this picture of my Dad leading Amos by that hand down the shoreline is one more for the books. After our day with Thomas and some clearing work we were back on another airplane to Utah again. ^At the playground again at home in Ogden, Utah and Amos was up to all the same old fun and games. He is really starting to make ground on his slow development of motor skills after so much time in a hospital bed in his cancer fight. Sunset moments running around the playground like this are music to my ears, and practice for his coordination too. The kid loves playgrounds, and I love watching him play. ^Shortly after the playground I was back on an airplane again to Portland, Oregon for a mountain biking guide certification course. 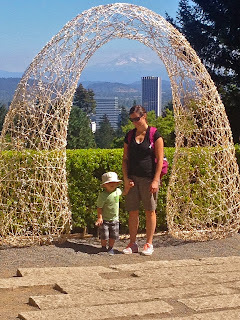 I have never been to Portland before and was excited to see the famous city and mountains. 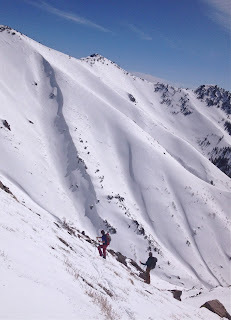 ^Nice spot for a guide course too! ^Also, a nice group of ladies to take the course with! I was a bit surprised to say the least when I showed up and was the only man in the course. I joked that I must have missed the fine print on the website and signed up for a women's course, but it really was just happen stance. My wife thought it was pretty hilarious, and the ladies were fantastic too. They didn't gang up on me too much, and I was stoked to make some new friends from all over the west no matter that they were all women who probably ride tougher then I do! I thanked them all before I left for letting me just be one of the girls for a weekend! ^Amos and Christine flew into Portland just after my course to met up with me for some classic Portland tourism fun. 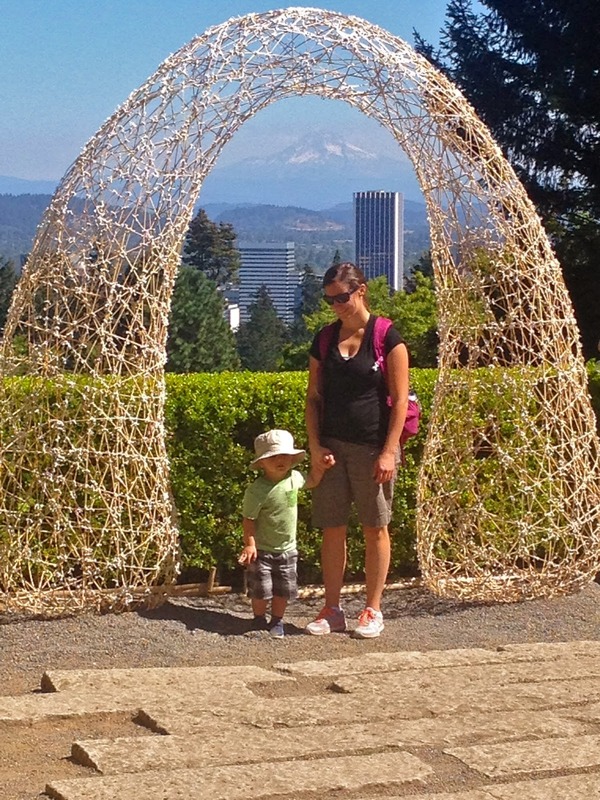 We hit a few of the local spots like this picture above at the Japanese Gardens in Portland with the iconic Mt. Hood looming in the background. We found some time to visit our friends, Mike and Kat Gambee in Portland in their new house they just moved into with Kat very much pregnant and Mike settling into his new job in his hometown with Nike. It was really great to see them for a night before we pushed further west to the Oregon Coast. ^Cannon Beach and Haystack rock on the Oregon coast was a real treat to see. Amos was super excited to see the ocean for the first time, and his favorite was all the sand. Once again my favorite was just watching him play with his momma on the shore. ^Toes in the cool sand. Beauty all around. ^A picnic at Indian Beach and soon enough we were back on another airplane again heading back to Utah. Portland was beautiful, the coast, even more so, and yet again left me a grateful man for the experiences. ^… and a walk in the park with my little family and our pup, Murphy. The dog was missing us, and a walk was exactly what she wanted. I love to travel, and I also love the way I feel when I get back home after the journeys. The puppy smile on my dog's face is as golden as her fur in the sunset glow too. She is starting to get older these days, and sometimes I feel like I miss her already. However, the nostalgia did not last long though before I was back on an airplane yet again. This time it was a boy's trip! ^Amos and I have traveled a lot together by now, but he and I have never taken a trip all on our own without his momma. It was a fitting event for our first boys trip. Some of my oldest friends in the world that I grew up with in Lily Lake had finally put together a trip to our hometown to hang out together for the first time in quite a while. It was the perfect setting for Amos and I's first boy's trip together. ^The train from O'hare International Airport in Chicago is one of Amos' favorite parts. For all the same reasons I mentioned earlier with his cartoon buddy Thomas the Train. 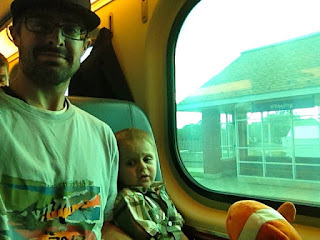 Amos was all about telling me all kinds of stories about Thomas and his friends while we rumbled down the tracks northward towards the Wisconsin border. ^My mother gave Amos a little birthday night at her house with Great Grandpa Don and a few of the family in the hometown. It always warms my heart to watch my grandpa admire Amos. Life, much like this whole month is a fleeting moment on the wind and I try so hard not to let moments like this picture of Amos and Great Grandpa Don sporting party hats mobbing down pizza slices. ^Golden candle light on my boy's face as he tries to figure out how to blow out the candle is like a dream come true. When Amos was so sick with cancer the thought of moments like this felt like a million miles away, but there we were just after a few thousand miles of planes, trains, and automobiles. ^You know you have a true friend when he will come out on your property and hack his way out into the thick woods with you. 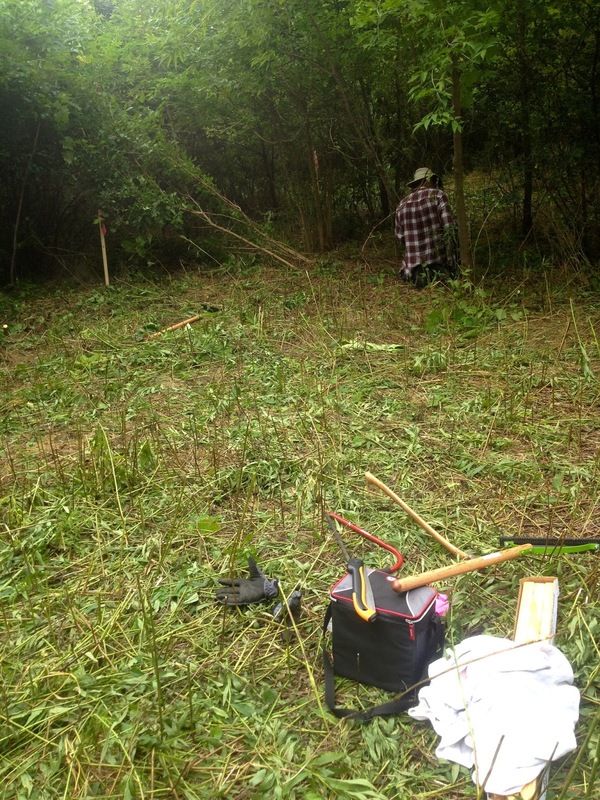 My old friend, Ryan, braved the humidity, heat, and wood ticks to help me do some clearing. We made some real progress working together as a team just like we used to as youngsters on the local baseball fields of our youth. 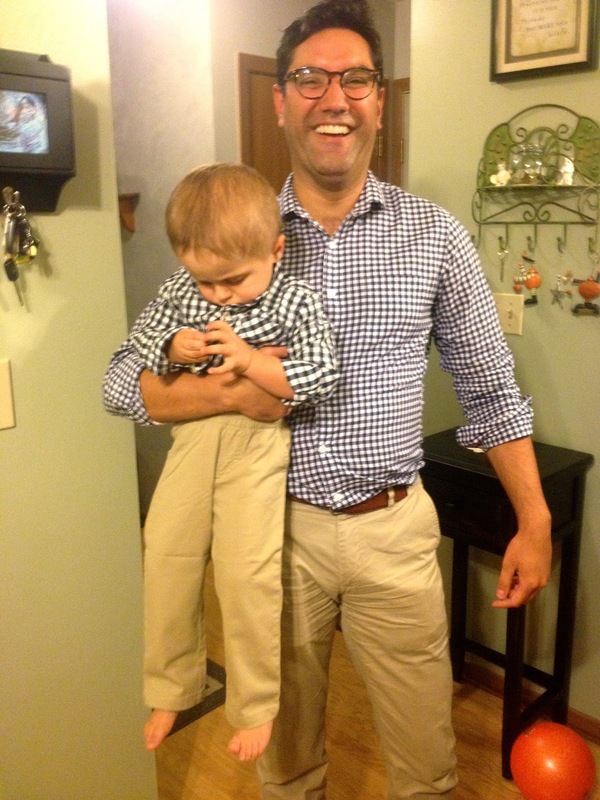 ^Then another life long friend, Ray, shows up dressed exactly like the new outfit my mother had just given Amos for his birthday. So naturally we have to pose up what will surely become a classic picture of Amos and my banker buddy. My momma always wanted me to be the banker I set out to be in college, but it seems that after I chose a different path that maybe her aspirations for a banker in the family will have to rest with Amos. He will at least be able to dress the part, and maybe Ray can get him a job too! ^Naturally the boys and I put Amos to bed with Nonni and made our way up to the local tavern we all basically grew up in, the Lily Lake Resort. With my oldest friends, Ryan, Bryan, and Ray in tow it was just like the old times as we laughed the night away drinking domestic beers and nasty shots until the wee hours of the morning. The bar owner, Jill, and staff always take such great care of us every time we come home, and of course this time was no different. This little bar has played a role in a lot of phases of my life and the neon signs and the smell always feels like home for all of us. Before I knew it the weekend was over and the boys all parted ways back to our respective busy lives scattered across the country. 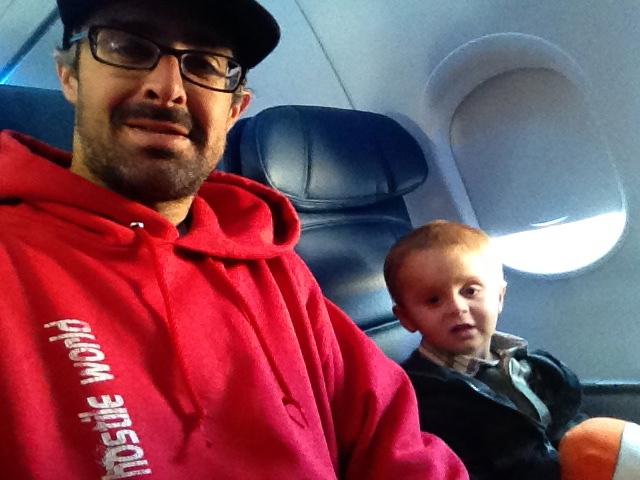 Amos and I got back on another plane, both exhausted from the whirlwind of a month. 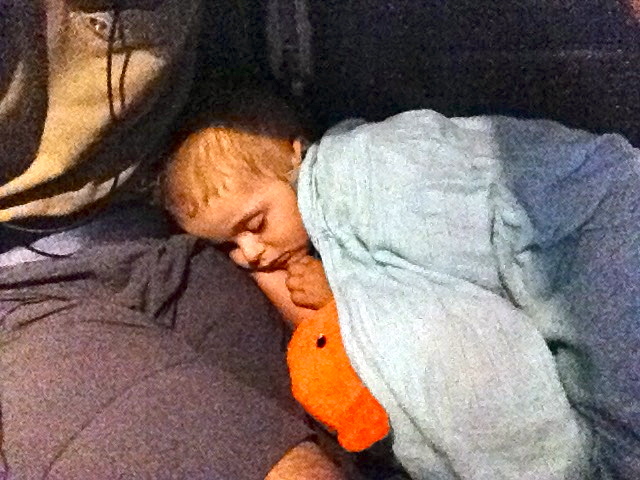 ^Amos slept on my lap nearly the whole plane ride, which I was really thankful for as the late nights with the boys had me plum tuckered out relishing in our airplane nap together. Amos did a lot of traveling. He was such a trooper throughout all of it. I am really glad he travels well, because in this family it is all part of the ride. We love to travel, and I am so happy that he does too. ^After a myriad of planes, trains, and automobiles and the fast pace of the whole month overall it certainly feels good to be home again. Amos was happy to see his buddy Murphy, and she was happy to have us home. As I said many times by now, I love to travel, and I also love that I can share it all with my little boy now too. I love landing back at home in our quant mountain house with our puppy for a quiet moment to take all of it in no matter how quickly the whole month of August really just flew by.